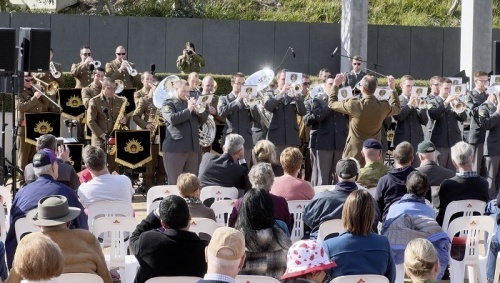 A JOINT music-making venture late last week marked both the 50th anniversary of the Australian Army Band Corps and the 727th anniversary of the Swiss Confederation. 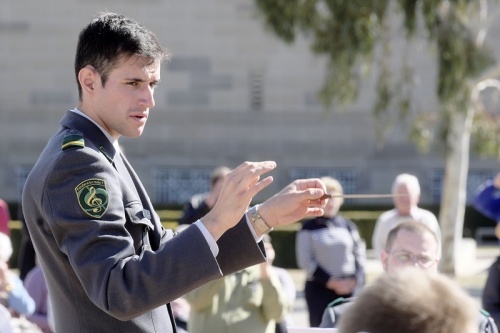 “CityNews” was on hand outside Poppy’s Café at the Australian War Memorial on Friday (August 3) to enjoy an hour of musical diplomacy between the Swiss Military Small Band and the Royal Military College Band. 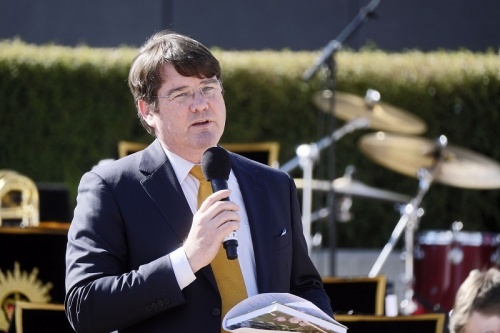 After a short introduction by the War Memorial’s representative and its inaugural musical artist in residence, Chris Latham, who spoke of his personal connections to Switzerland, the profound effects of World War I on music and his coming “Diggers’ Requiem”, Swiss ambassador Pedro Zwahlen took to the podium. 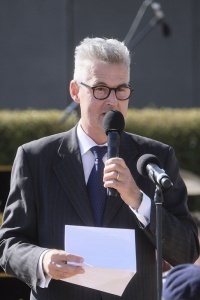 He thanked Latham for introducing the event in “such a knowledgeable fashion”, going on to outline Switzerland’s philosophy of neutrality, often endangered, as it had been in 1914 one almost caught between the interests of its French and German speaking citizens, but ultimately triumphing against the collective abuse of modern warfare. Then the fun began, as Lt-Col. Patrick Robatel from the Swiss Army led a 20-minute program of light music, ranging in tone from a military march to Queen’s “Bohemian Rhapsody”. 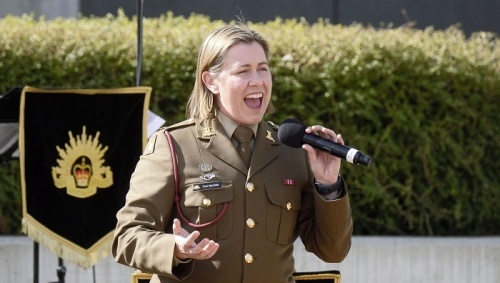 Under the baton of captain Richard Mason, the RMC band followed with a program of the band music, enlivened by soloists Rachel Shead and Toni Maxfield. Then the bands join together in a rousing finale.